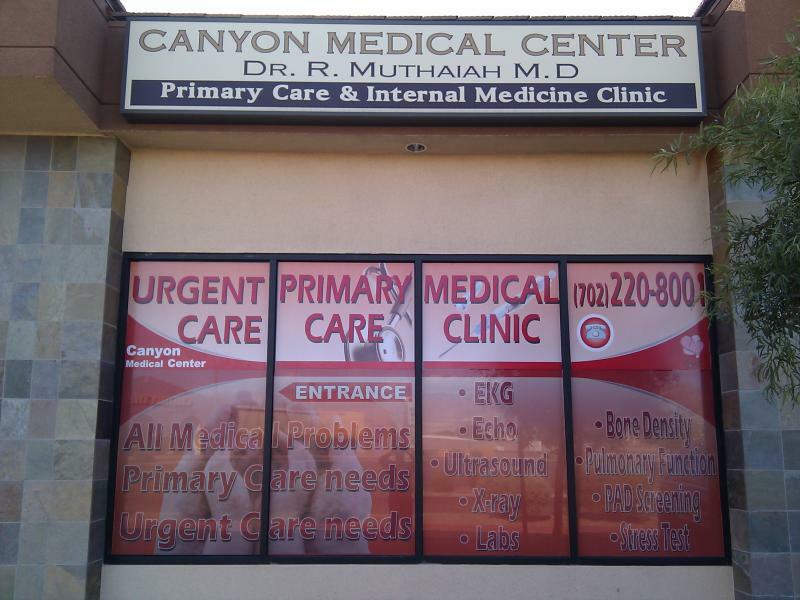 Canyon Medical Center has been providing exceptional services with Urgent Care in Las Vegas NV. Quick Care, Immediate Care and Emergency Care medical services provided by Board Certified M.D. Doctor, who is practicing in Las Vegas since 2001. Our Medical Clinic is located just OFF the FreeWay on US95 N - opposite Santa Fe Station Casino. Extended Hours & Walk in Medical Clinic - Open Extended Hours & Weekends. Appointments also arranged within short notice. Our Urgent care clinic in Las Vegas NV, provides a very good alternative to ER for all your non-life threatening medical conditions requiring immediate care and medical attention. Services provided in our Urgent care are low cost with shortest wait time ( Immediate Care ), compared to the exhorbitantly expensive cost and unaccpetable extensive waiting time, provided in any of the ER in Las Vegas.